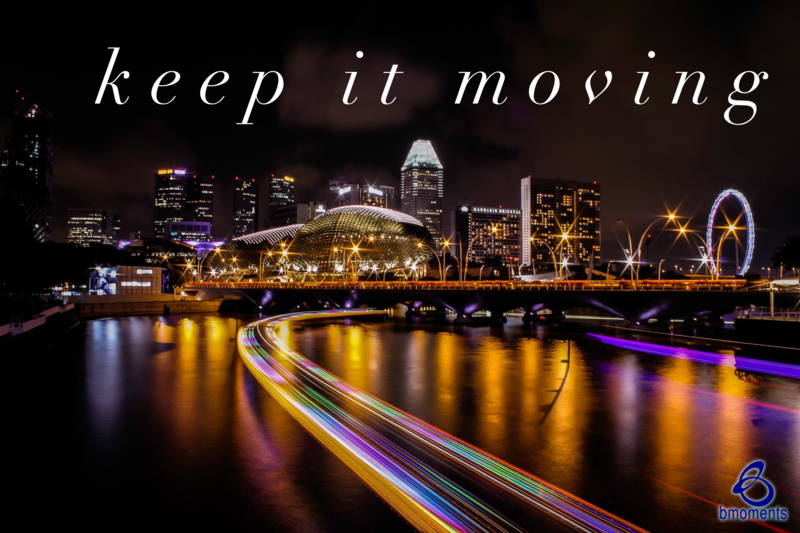 Today, I am reflecting on how Jesus teaches us to keep it moving. Recently, I talked about those who didn’t believe in Jesus. He wasn’t accepted in his own hometown, nor was He accepted even among his own brothers. So, while his mother, Mary, knew his real identity and his purpose here on earth, his brothers didn’t believe he was the Messiah until after his Resurrection. In fact, not only did they not believe in him, but they taunted and teased him. However, Jesus didn’t sit around and hope that they would change their minds. He kept things moving. When we look to the Scriptures, we see Jesus moved from town to town quite frequently to fulfill his purpose. For example, in Luke 4 Jesus is very clear about why he’s here on earth. He says that he has come to preach the good news to the poor and the afflicted. In other words, he’s here on assignment from God, and he won’t let his naysayers slow him down or take him off task. Personally, I can recall those days when someone would say something about me and it would nearly crush me. I would likely avoid giving the person the satisfaction of knowing how much it hurt me, but their words would still preoccupy me. In those days, I would often call one girlfriend after the other, asking if they could believe what the offender had said. Over the years, I have stopped talking about it as much, but it still preoccupies me sometimes. So today, know you’re on special assignment from God, so keep it moving.